In every family or group of friends, there’s one designated shutterbug who is always behind the camera and therefore never actually in the pictures. Trying to use the auto-shutter thing usually results in some hilarious, but not quite perfect, shots. This incredible concept camera from Artefact design group would solve those problems and make self-photography easy and – dare we say it? – kind of fun. 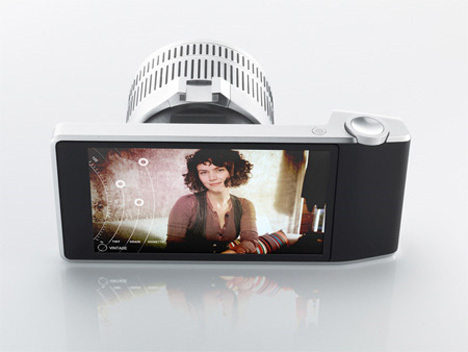 The WVIL (Wireless Viewfinder Interchangeable Lens) camera is composed of a body and a detachable lens. The two pieces are linked over a wireless connection, so even when they aren’t paired up physically they work in tandem. The body includes a touchscreen that controls all of the lens functions from afar, so whether you’re sitting across the room or standing right in front of the lens you’ll have complete control over how the pictures come out. 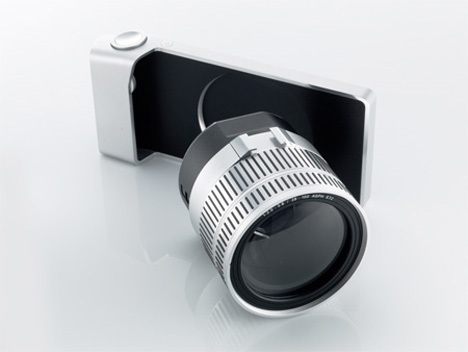 The removable lens would also be great for catching pictures from new angles. Previously-unreachable viewpoints become not only possible, but even simple when you can just lift the lens where you want it and look at the screen in your hands to ensure the framing and settings are all perfect. You can even adjust the color and light levels right from the touch pad, cutting down on the amount of Photoshop work you’ll need to do later. Although the WVIL is just a concept at the moment, Artefact wants consumers to look at the possibilities for the future of photography. Digital cameras have significantly changed in just the last decade and they will undoubtedly continue to evolve. Separating the control panel and lens in this way seems like the logical next step in the evolution of the digi-cam. The creators say that the same concept could be applied to helmet cams, remote “party cams” and purpose-built stereoscopic 3D applications. See more in Camera & Video or under Gadgets. July, 2011.